Pink isn’t a colour I usually associate with my music. In fact, outside of the REVISIONS project, I would say the majority of my original work falls more into the ‘shades’ category: blacks, greys, whites. In techno’s dystopian vision of the future there’s little space for emotion, let alone flowery hues. So when I reached this portion of the REVISIONS rainbow, I was intimidated to express something outside of my usual, bleak comfort zone, but also excited for the escapism that comes with writing something positive and melodic. For the source albums, I chose Amerie’s All I Have and Musiq Soulchild’s Aijuswanaseing and Juslisen. In this article I’ll break down my production on the Amerie-sampling “Can’t Explain It”. Prepare to hear John Roman softer than you’ve ever heard him before. 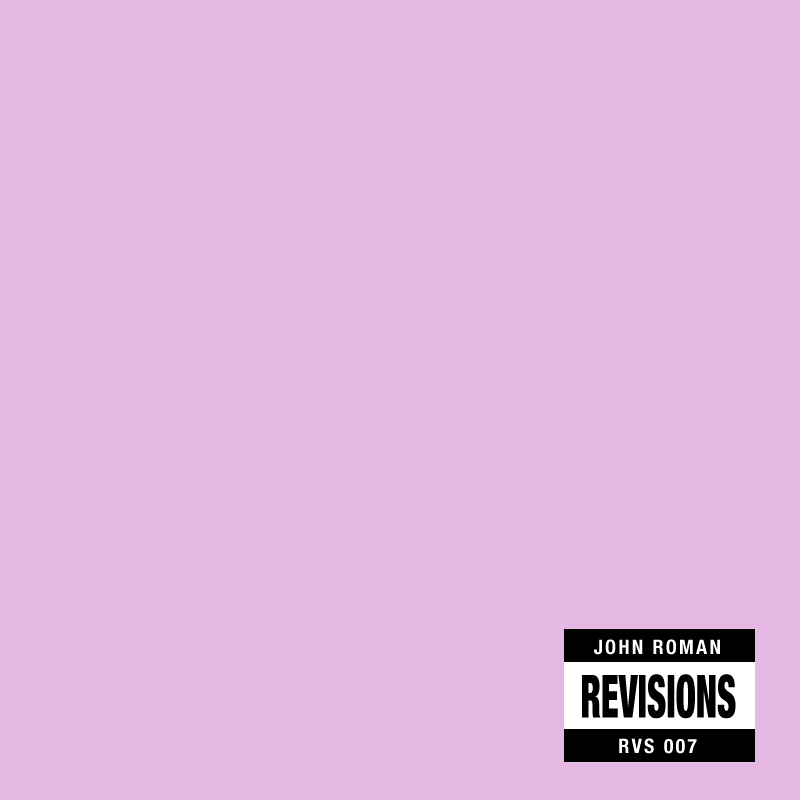 In comparison to past REVISIONS tracks, “Can’t Explain It” is one of the simplest. It uses only four tracks from its source album and features no real production wizardry, just a few well-chosen loops and basic dynamic changes. As I’ve done in past posts, I’ll separate my sampling techniques into three categories: percussive, melodic and vocal. The first 8 bars of “I Just Died” serve as the drum foundation for the track, sped up from their sluggish 110bpm to a more danceable 128. I enhanced the bass frequencies using EQ and also gave a slight boost around 3kHz to give the kick’s beater and the hi-hats a bit more definition. I chopped up the intro of “Need You Tonight” for the conga, snare and cowbell fills heard throughout. It was a surprisingly natural fit, and not much was needed in terms of EQ or editing. “Hatin’ On You” provided the track’s melodic elements. For the triplet chords and hi-hats I looped a 2-beat sample with a variation every 4th bar. I used a low-pass filter on this pattern throughout to keep the loop interesting, opening it up in the breakdowns and closing it in the drops to emphasize the vocal parts. The triplet synth stabs are also taken from the intro of “Hatin’ On You”. Looping a 1-beat phrase with heavy delay, I adjusted the filter and reverb of the sample, making it the melodic focal point in the drum breakdown at 1:45. As for the vocal elements, I used “Float” for the eponymous vocal phrase and the ‘whoa-ohs’ at the start of every 4 bars. “Float” begins with about 8 seconds of Amerie ad-libbing acapella, making it very easy to extract useable samples. The ‘whoa-oh’ was pitched down 2 semi-tones and some hall reverb with strong decay was added to fit the track’s ambience. I also used two very short vocal stabs from “Need You Tonight” at 1:15. They’re barely noticeable, but help to complicate the repetitive drum loop, and by panning each stab to opposite sides of the spectrum, helps to widen the track. As always, if you have any questions tweet me – @johnromandj – or leave me a comment on my Facebook page: www.facebook.com/johnromandj. Listen to the b-side “Falling” below.